Newcomer airline WOW Air has just loaded their fares from Toronto to various places in Europe for spring and summer 2016, and flights can be found starting at $278 CAD roundtrip including taxes. WOW Air has been flying out of U.S. airports for a few years now, and by launching in Toronto and Montreal they are attempting to bring their cheap Europe flights to Canadians. Their claim to fame has been offering '$99 flights' to Europe. This is somewhat misleading, but a great way to gain attention, as their prices do not include *anything* (everything is extra, beyond just the flight) - and it's usually difficult to find cheaper date combinations mixed amongst the higher priced fares. A list of WOW Air's additional charges & fees, for anything beyond just the seat on the plane, can be found here. But, with a new route comes planes to fill, and by being the first to check out these fares, you might be able to spot some very cheap roundtrip prices before they are snatched up. UPDATE 1 @ 12:19 PM EST: The WOW Air website was overwhelmed by the sudden burst of traffic (sorry guys! ), and their server went down. The WOW Air twitter team has stated that it will be back up in 15 minutes. Take this time-out opportunity to ask your boss, family, or friends about vacation time in spring or summer 2016. UPDATE 3 @ 1:49 PM EST: Yes, the WOW Air website is *still* down, and people that have attempted to book by phone are now reporting that WOW Air is unable to even take bookings over the phone at this time. UPDATE 4 @ 2:07 PM EST: Now able to get through to the WOW Air website . - May/June will generally have the most availability. - Quite a few June dates are available for Amsterdam (departure and return) for $407 roundtrip. Similarly, cheap roundtrips are currently available for June 2016 travel to and from: Amsterdam Berlin, Copenhagen, Dublin, Paris, Reykjavik (Iceland), and Stockholm. London doesn't seem to have any. - July 17 departure is the one date to focus on for Amsterdam in July. Plenty of return dates. - August doesn't seem to have as many of the cheap ones, but focus on late August departures (August 22 to 31) with a return any time in September. Most destinations have availability in this range. Amsterdam doesn't seem to have return flights in September. 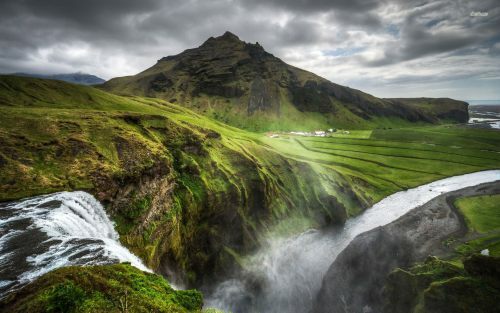 UPDATE 6 - November 7 @ 10:48 AM EST - The cheap flights from Toronto to Reykjavik, Iceland have returned today, but at a bit higher pricetag, for $364 CAD roundtrip including taxes. June and September 2016 dates are available. note: the cheapest prices are generally in May and June 2016, but I have seen the cheap ones available for July and late August travel as well, to some destinations (such as Berlin and Amsterdam). note: you may find that you can't pick a departure city on the front page of the WOW Air website. It seems to still be having issues. You are better off just selecting any of the deals from the promotional page, and then clicking on 'Search Again' and changing the departure/arrival city. Reykjavik, Iceland (KEF) - $278 ($99 / $168) -- where all of their flights connect through, similar to IcelandAir. And remember, WOW Air charges extra for *everything* on top of 'just the flight'. That's their model. Flying into one European city, but back home from another? WOW Air's website does not support multi-city flight searching or booking, so you would need to book two separate one way flights. Obviously you should check first to make sure they are both available before booking the first one. Where to stay in Iceland, Amsterdam, Dublin, Berlin, Stockholm, Paris, or London? The following AirBNB links will lead you to some great deals on places to stay for under $99 CAD/night for 2 people. toronto, yyz, flight deals, england, europe, northern europe, united kingdom, western europe, netherlands, london, central europe, paris, france, cdg, germany, dublin, ireland, dub, reykjavik, iceland, kef, nordic countries, amsterdam, ams, scandinavia, stockholm, sweden, lgw, berlin, wow air, sxf and vst. 7 Responses to "Toronto to Iceland, London, Paris, Berlin, Amsterdam, or Dublin - $278 to $531 CAD roundtrip including taxes for spring and summer 2016 travel"
Looks like the WOW Air site is completely down. Haven't been able to get to it for the last half hour. Looks like their site it down. This is how Air Canada Rouge should be. A real discount airline. I hope this hurts AC and forces them to actually compete. I tried to book a year from now, no $99 seats available, starts at $289 one way then by the time you add baggage, taxes etc, price same as everyone else. Marketing ripoff.